Meri Pyaari Bindu has received better reviews than the other release Sarkar 3 – although the ratings aren’t good enough to make a big difference at the box office. For a rom com (as one character in the film points out so presciently, how different can love stories be) to stand out from the ones that have been done before, setting, situations and characters have be new. Or new-ish. Ayushmann Khurrana, as the steadfast Bubla (lovely touch, that pet name), fares a little better because he is given more to play with. Parineeti Chopra is written minus requisite depth, and stays on the surface. Yes, she is bubbly, and cute, and all the descriptors given above, but that’s not enough. Meri Pyaari Bindu is a whimsical look at youthful ambition and the urge for freedom. The lead characters nurture opposing approaches to life and yet they get along like a house on fire. The boy has an overly protective mother (Aparajita Auddy) who does not leave him alone for a second; the girl has an alcoholic armyman-father (Prakash Belawadi) whose irresponsible ways has tragic consequences. But they aren’t moaners. They take the smooth with the rough without losing their cool. In the absence of nuance, all the gadgetry and dialogues overdosing on pop culture references beginning with the film’s title, are akin to the umpteen frames and furniture littering its two main characters’ rooms. While it doesn’t say much about their sloppy personalities, it sure reflects the messy state of Akshay Roy’s directorial debut written by Suprotim Sengupta. One request to Yash Raj. Please step out of the studios and see how young people dance or behave when happy. They certainly don’t go to gigantic studio spaces fitted with empty tram cars and jump simultaneously in the air. The song is so pointless and out of touch with reality… But yes, Parineeti Chopra has a wonderful singing voice, and even though her songs are lost in the inanity of Ayushman’s droning of his story, she deserves half a star for her talent. I wish she has better luck with the script next time! This one was mostly ‘acting’ bindaas or dumb but pretty girl. Ayushmann is natural in the film but the problem is he is the same in every film. Also, the light hearted scripts given to him could be blamed. He might change his game with Sriram Raghavan’s upcoming thriller. Parineeti Chopra herself is repetitive as the bubbly girl but that doesn’t take anything away from her convincing portrayal. One scene in particular, where she breaks down in the hospital, will leave you in tears. Another one where she converses with her father is moving as well. Rest of the cast is hilarious and apt in their respective roles but there is hardly much to do, Ayushmann and Parineeti being central characters. Parineeti’s character is fun, but fickle. She gets a lot more to play with. The movie suffers because the plot is too thin and at times it seems to lose it’s way. Director Akshay Roy tries to attempt a rom-com that isn’t run-of-the-mill, but the pace of the movie is a letdown. He has successfully created the Kolkata of the 80s, but fails to draw you completely in this world. As Bindu, Parineeti’s main task is to look good and fulfill her singing aspirations. She is back on the scene after a three-year gap. Her last outings, Daawat-e-Ishq and Kill Dill in 2014, proved to be damp squibs. Her styling, however, looks extremely 2017 even when she travels back in time. The attention given to her look, is more than on the narrative. In one of the scenes while walking along Marine Drive, Ayushmann (he’s done his best) chomps on a badly burnt bhutta. It was overdone, just like the romcom which is far from engaging with too many layers. The parents are reduced to mere caricatures while the flavours of Kolkata are infused to explain the love of a Bengali guy for a South Indian girl. Being an YRF movie, the technicalities and art work is fantastic. The essence of Kolkatta is felt thanks to the ‘jeebone ki pabo na’ number and special mentioned to those evergreen classics remembered in the film that gives a smiling deja vu. Music by Sachin Jigar on the other hand is hummable while watching the film. The chemistry between Ayushmann Khurrana and Parineeti Chopra is on and off and the writer is to be blamed for this and it’s a serious drawback. ‘Meri Pyaari Bindu’ is a sweet and sour type of film, which has many sweet moments indulged in it and at the same time thanks to the weak screenplay the movie ends up with mild sour type of feeling. Khurrana as the hangdog loverboy is the saving grace of this dreadfully vapid non-romance about an annoyingly self centered chick who needs to exercise some self-discipline (unless she thinks Kangana Ranaut in Queen is a role-model) and a guy who needs to get himself a life. The film goes through several decades of fads and fashion changes until it comes to a screeching halt with a finale that is as pointless as the prattle and preening that goes on for the most tiresome two hours of your life. Meri Pyaari Bindu is that rom-com that doesn’t offer much new, but it still engages, entertains and makes you sob for you remembered that one heartbreak that took your faith in relationships away from you. The plot seems to be a combination of Ae Dil Hai Mushkil and the upcoming Half Girlfriend… which means, it has nothing new to offer and the sight of Abhimanyu mooning over Bindu throughout the duration of the film, may not appeal to the audience. This is not to say that the film doesn’t have its moments. The Kolkata vibe has been captured impressively by the director and some of the scenes are quite touching (like the one where Bindu reconciles with her estranged father), but such scenes are few and far between. Meri Pyaari Bindu is a slightly entertaining fare if you walk in with zero expectations. FLOP HAI TO FLOP HAI. How did Baahubali do in China? Has it met the expectations? Has it failed to rake in big money in China? What could have led to this situation? Questions like these have been doing the rounds ever since Baahubali released in China on July 22 and rightfully so. Not many of us understand numbers and least of all those coming from a country which is completely alien to our (Telugu) films. 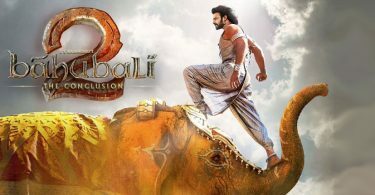 Soon after the release, the news arrived that Baahubali, the first South Indian film to find a foothold in China, had collected about $630k in its opening weekend. By the end of the week, the film had collected close to $900k-$1 million at the box-office in China. These numbers are nowhere close to Aamir Khan starrer PK, which went on to collect more than $19 million in China when it released in mid 2015. For that matter, for all the hype and positive buzz that Baahubali had, the box-office numbers were disappointing at best. However, numbers are often misleading and unless we dig deeper into the actual story behind these developments, we might continue to believe that the audiences in China didn’t embrace the film. The latter part isn’t true at all, going by the enthusiastic response from the number of people who ended up watching the film in the theatres. To put it in perspective, Baahubali got just 4000 shows (not screens) on the opening day of its release, whereas Aamir Khan’s PK, which went on to become a blockbuster, got more than 17,000 shows on its opening day back in May, 2015. Besides, comparing the box-office performances of Baahubali and PK, especially in China, is like comparing oranges and apples. PK didn’t turn out to be a huge success just by a stoke of luck. It was the result of a four-year process. ‘3 Idiots’ was the first Aamir Khan’s film to release in China and it went on to collect $2.2 million at the box-office in 2011. Later, Dhoom 3 made $3 million in China and by the time, Aamir Khan-Raju Hirani’s PK was ready for release in China, they were already a household name in the country. In contrast to all this, Baahubali is the first South Indian film to venture into a completely new market and the fact that it managed to break free from the clutter and secure a release in China is in itself a big deal. Why? Because the Chinese government has imposed strict regulations on the number of foreign films that can release in China in any given year. Right now, the annual quota is just 34 foreign films in a year and out of these 90% of the films are those churned out by Hollywood. Due to all this, only 1-2 films from India can manage to get a release in China, if the producers can tie up with a local distributor. Why you are promoting meri pyar bindu.Rajiv masand gave it 2 star not three. Will definitely watch it for Parineeti. The girl is super talented. Just praying that she quickly moves out of her comfort zone and take on more challenging roles. Because Ajay Devgan is coming back with a bang. Emraan Hashmi is also there which adds another big impact hoping set new records.